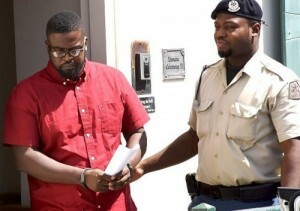 PHILIPSBURG - Former Security Service of St. Maarten VDSM Director James Richardson was sentenced to a prison term of two years for embezzlement and money-laundering, and ordered to pay NAf. 231.000 back to Government. The money was overcharged on VDSM’s credit card for buying personal goods. The Judge called the offences shameless and very serious. The Prosecutor demanded in this case a prison sentence of three years and payment of the funds. These payments involved various purchases for private purposes, such as a gold bracelet at a jewellery store in St. Maarten, expensive clothing at Amsterdam Schiphol Airport; several purchases at a department store in the Netherlands, a Blu-ray player, airplane tickets to Miami for two persons, tickets and an overnight stay for two in St. Kitts, purchase of airline tickets for him and his family to Orlando and overnight stays at a luxury hotel in Miami. All these purchases were made in 2012. Richardson had also ordered the construction of a security wall around his house. The cost of the wall’s construction and his hotel expenses were borne by VDSM. The “Tarpon” investigation started in 2014 following a statement by the Ministry of General Affairs Secretary-General after an investigation by Government Accountant Bureau St. Maarten SOAB in connection with suspicion of money-laundering. These investigations, in which possible financial misappropriation within VDSM was described, were the reasons the VDSM chief was suspended. He claimed at the time that he had spent US $32,000 on the hotel during his hiding period. The hotel bills, which Dutch newspaper De Telegraaf claimed to have in its possession, only amounted to US $14,000. Richardson was not present, but his attorney Shaira Bommel was to hear the Judge’s verdict. The Prosecutor did not mince words in this case. “Crime does not pay,” he said. Richardson has two weeks to appeal the case.